In June, I managed to fulfil something of a personal dream of mine and write for FiveThirtyEight about Messi’s walking as a phenomenon. The piece was based largely on research by Luke Bornn, who has been described as the “high priest” of sports analytics, and Javier Fernandez, who works for none other than Barcelona as a data scientist, which they presented at Sloan in February 2018. If you haven’t read the paper, I’d highly recommend it – don’t worry, I skip the maths too after grappling with it for long enough to feel severe imposter syndrome. What I enjoyed so much about writing this piece is that it uses analytics in exactly the way that I find it interesting. This thing is happening – Messi walking – and we’re not entirely sure why. Despite what people may say, football is a ridiculously complicated sport, and I think this is evidenced by the greatest player in history doing something noticeable and the world’s initial instinct to be “well, he’s walking, that’s stupid”. 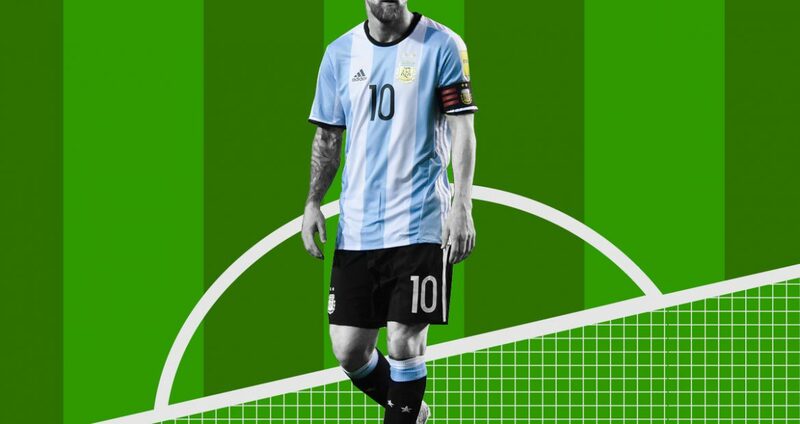 Of course, the debate had moved on to “well, he’s conserving energy”, but the probable truth evidenced by Bornn and Fernandez – that Messi, subconsciously or not, has a unique way of generating space where he almost walks against the run of play – took cutting edge work to uncover. I guess what I’m awkwardly saying is that analytics enables us (imperfectly, with lots of caveats and a probabilistic hat on) to learn about why things happen. To get value from the third of my degree that was philosophy modules, I’d argue that its purpose is largely epistemological (as in, related to how we know what we know). Analytics can help us discover a sport that generally tends to exist in a never-ending cycle of statement without evidence. I’ve long been sceptical of the impact that tracking data can have on our understanding of the game due to its complexity, but this paper and another at Sloan really began to change my mind. Will Spearman’s “Beyond Expected Goals” is probably the single most interesting piece of football analytics research I’ve read in the last three years. Imagine quantifying the chance of a player scoring based on his movement preceding a shot and where everyone else is. Well, he does that. I’m obviously a proponent of traditional expected goals and its value, but an elephant in the room of player level expected goals is that players get their chances from their team-mates as much as from their own movement. Edinson Cavani is really good at getting chances; his teammates are also really good at generating them for him. Using Spearman’s combinations of models, you could find players who are making really good runs, but whose teams aren’t supplying them – *cough* Tammy Abraham last season *cough* – and still see them as potentially great goalscorers. You could profile the types of runs that strikers get, and get creative players that are compatible. We all know Olivier Giroud is a team built of early, front post crossers and an injury free season away from a Ballon D’or. You could teach your defenders to stop the types of chances that the striker they are about to face tends to try and create. In short, you can do lots of things with those models, and you could learn an awful lot about football in the process. And I’m sure Spearman will at his new job, though Mo Salah probably just edges him as Liverpool’s smartest pick-up in the last twelve months. COPYRIGHT 2018 ANALYTICS FC LTD. ALLA RÄTTIGETER FÖRBEHÅLLS.